Since I wrote in an earlier post about my first steeking experience, I wanted to follow up now that the cardigan is done and I've had some distance from the process! To sum up what happened: Eager to experiment with steeking, I knitted the initial version of my Ripple and Bloom cardigan in the round. I did a crochet steek, following instructions carefully. It seemed to go well at first. But as I picked up stitches for the button band, my steeks started coming undone in places, the frayed edges popping out of the crochet chains. Trying not to panic, I re-secured the steeks by hand-sewing over them in blanket stitch. That did the trick and the steeks remained stable after that. However, I was disappointed with the untidy look and with the seams they added to the underside of the button bands. Not entirely satisfied, I did some more digging/ pestering of steekers. And to the best of my understanding the situation is this: Steeking is a technique originally designed for Shetland wool - which has a coarse/sticky quality to it that makes it stay in place after you cut it. But other yarns (notably, merino) can be more 'slippery,' and might indeed be prone to popping out of the crochet chains. So if you suspect the yarn you are working with might behave this way, basically allow for a couple of additional stitches in between the crochet chains (1 extra stitch to each side of the cut). Makes sense? But regardless, apparently my steeks are just fine as they are. 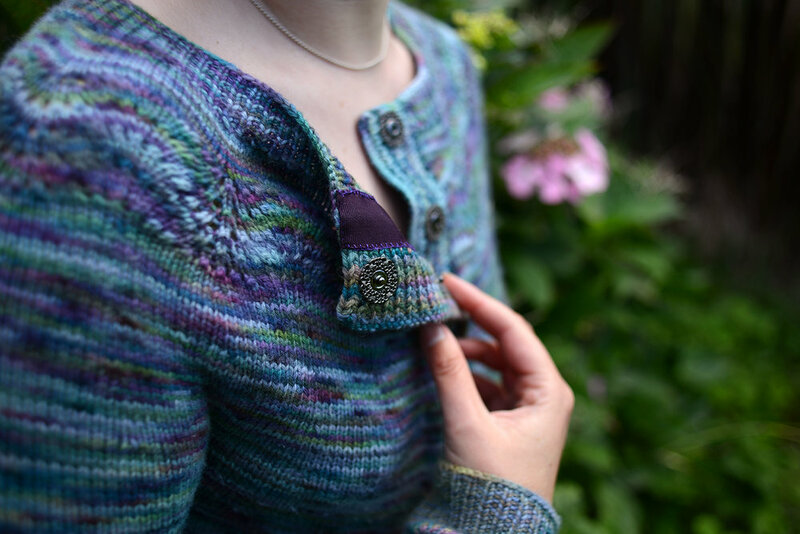 An application of grosgrain ribbon to the underside of both button bands has hidden them completely and has actually added a nice finishing touch to the cardigan. However I am still not a fan of the bulk and the overall fussiness of the whole steeking process. As I wrote in the previous post, I will reserve this technique for cardigans that absolutely must be knitted in the round due to colourwork. 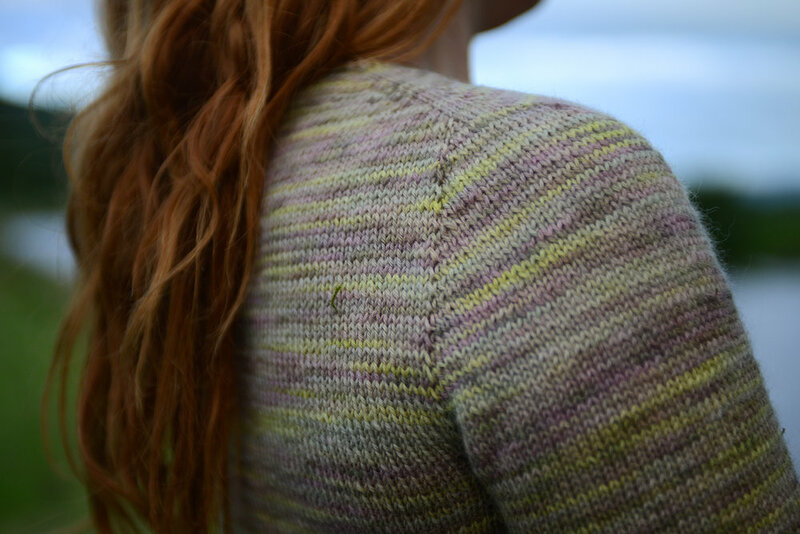 As for the Ripple and Bloom cardigan - I re-wrote the pattern for working it in the flat, and could practically hear the future sweaters that will be knitted from it sighing with relief. Steeking may save time at the initial stage by letting you knit in the round. But let me tell you, it more than makes up for that with all the crocheting, and cutting, and securing, and hand-sewing you will need to do after!